How do I delete a campaign? 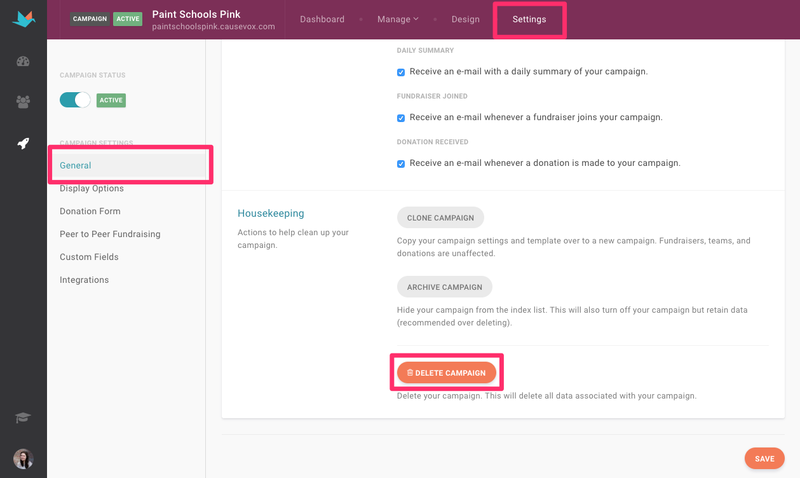 If you created a site as a test or accidentally created a campaign you will not be using, you're able to delete the campaign from your campaign list. Step 1: Login to your account and select the campaign you'd like to clone. 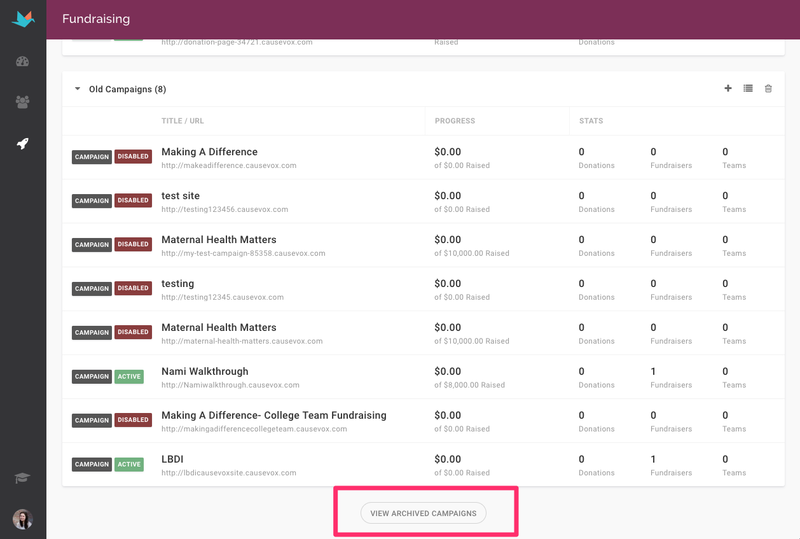 Step 2: Navigate to your Settings and scroll down the page on the General tab to the Housekeeping section. 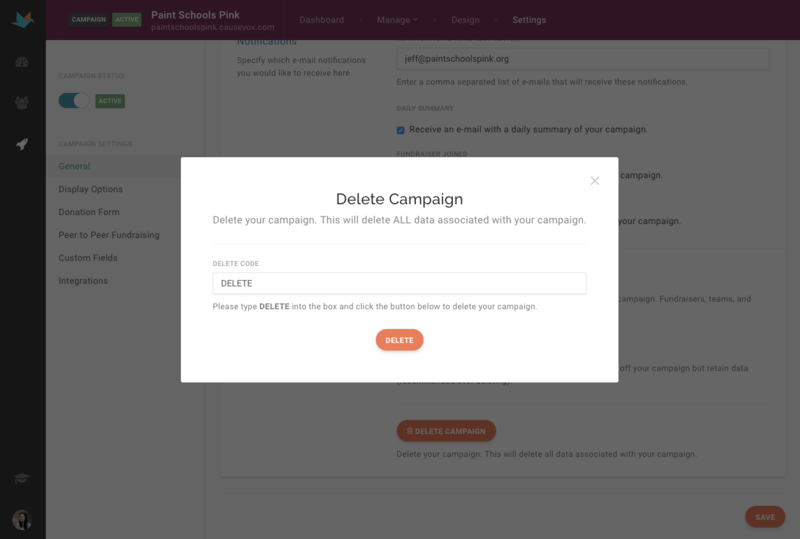 Step 3: Type in DELETE in the text box and select Delete Campaign to verify you'd like the campaign deleted. Warning: All data and content will be deleted with your campaign. Deleting campaign sites is available for users on the Standard plan and above. If you're not looking to delete a campaign but rather remove it from your campaign site listing, you're able to archive old campaigns. 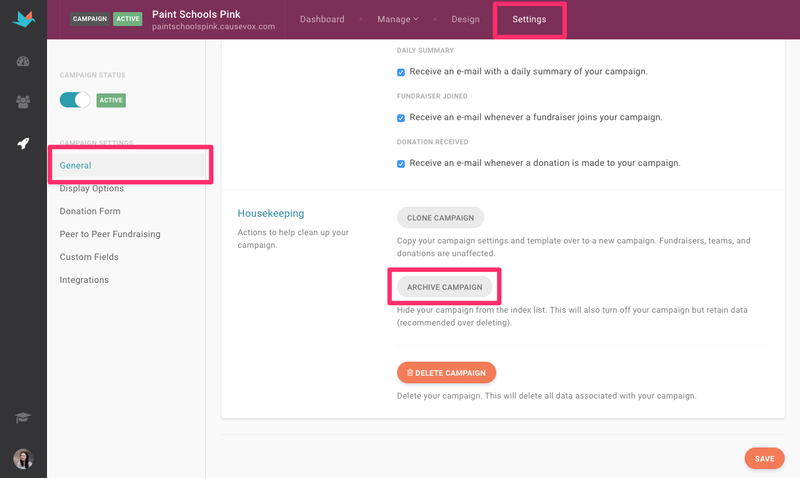 You're able to do this by selecting "Archive Campaign" from the Housekeeping section on your campaign. Confirm you'd like to archive your campaign by selecting "Yes" when prompted. When you archive a campaign, your site is taken offline. This way, all content and data will be saved for you to return to later if needed. 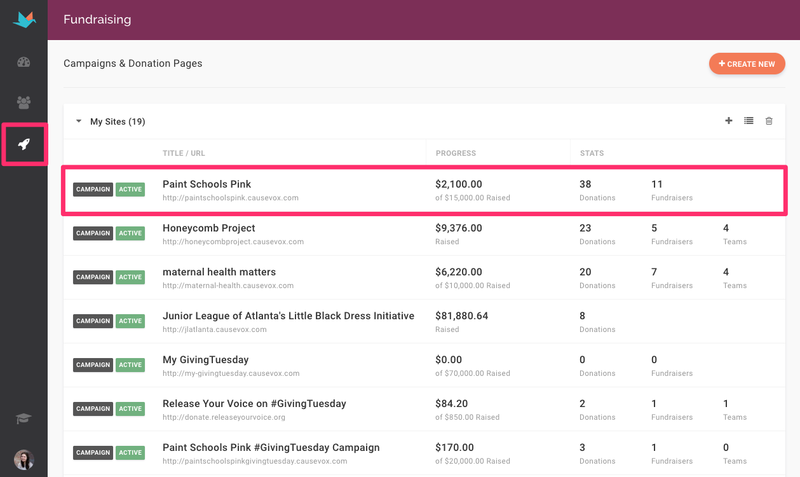 To view archived campaigns, you can select "View Archived Campaigns" from the bottom of your campaign site listing.